From time to time, Nintendo releases free DLC for Animal Crossing: Happy Home Designer with special design requests for new characters through the SpotPass service and Nintendo Zone access points. 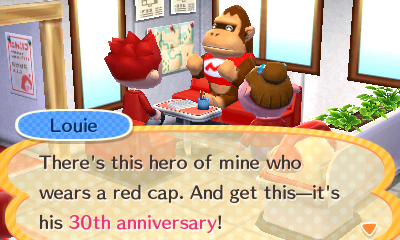 To receive and download free character Special Design Requests DLC in Animal Crossing: Happy Home Designer, just head to the second floor of Nook’s Homes and access the blue laptop computer desk on the left side of the room. After warning you that you must create the design request immediately, the game will check for any available special design requests on the Wi-Fi network you’re currently connected to. If you’re connected to your home network, or any other non-unique hotspot like a Nintendo Zone, you’ll receive any special design requests generally available through Nintendo’s SpotPass service at the time. 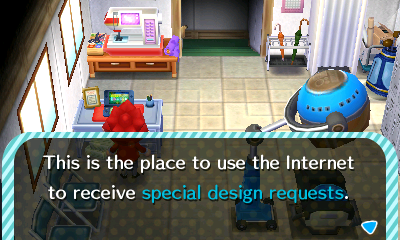 However, if you’re connected to a Nintendo Zone hotspot, you’ll receive any special design requests currently available on the Nintendo Zone service. Some DLC is available exclusively only through Nintendo Zone, either for a limited time before moving on to SpotPass, or forever. 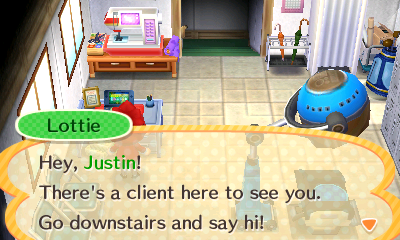 If there happens to be a special design request available at the time, Lottie will call you down to the first floor to meet with the client and design their home! Don’t have a Nintendo Zone nearby?  Create your own at home! If you don’t have a Nintendo Zone near you, or you simply just don’t want to make the journey outside, you can make your fake Nintendo Zone hotspot at home! Check out our handy guide on how to do so by clicking here. Check out our complete list of special design requests released for Animal Crossing: Happy Home Designer by clicking here.